As always, the duality that came from channeling Polly gave Bridge a headache. Or, in this case, worsened the one he already had. Most humans—himself included—had difficulty maintaining a single point of focus, much less two, but here he was. And there he was as well. On the physical plane, he was seated in a chair in his office, gazing into the eyes of a dead man. At the same time, his body was also floating weightlessly in space, surrounded on all sides by tiny flickering lights, hovering like fireflies. Each one of these “fireflies” represented an individual memory, a singular moment in time, all of them belonging to Rook. Should Bridge wish to experience—to a lesser degree—what the killer had experienced at any given time in his life, all he need do was make contact with one of the lights. In that instant, the dead man’s senses would become his own, sight, sound, etc. Of course, this also meant there would be one more focal point for his already overtaxed brain: the office, the darkness, and now the memory. His goal could not have been clearer. Bridge needed to discover the identity of who had sent the assassin after himself and the blonde. Nothing more. Still, there was a nagging question that—in the moment—felt of equal importance. With a kind of morbid fascination, he reached for the most recent of Rook’s recollections, the firefly circling nearest to him. As his fingers closed on the memory, Bridge was transported into it, with no sense of context. Immediately, he saw Spade’s face as if in close-up, felt the cat’s whiskers tickling along his chin. Here it was, the answer to his question, and all he had to do was watch as the scene played out. It wasn’t until the cat’s face pulled away to reveal Bridge’s own bloodied mug that he realized he had the wrong moment entirely. He observed as, teeth gritted in anger, this previous incarnation of him wound up for a haymaker, and then he pulled back just before the fist could make contact with his/Rook’s face. In spite of the timely escape, his teeth still ached, some kind of psychosomatic response. For the time being, Spade would have to remain a mystery. Traveling forward—deeper into the recesses of Rook’s memory—, Bridge bypassed many of the events of the afternoon. Not only had he been present, but he didn’t need to see his failures played out from a different angle. The shooting. The chase. The bottle to the skull. He did however make a brief stop to witness the assassin cowering in an alley behind a dumpster, attempting to put his teeth back into his head without the benefit of a mirror. If nothing else, having them knocked out a second time would give the man another opportunity to get the job done right. Assuming he ever left the office. From here, Bridge’s passage down the timeline sped up, as if he were being pulled along by some unseen rope. His fingers grazed the lights along the way, if only to verify that he wasn’t overlooking anything crucial, but nothing jumped out at him. Concerned by his speed, he was trying to work out the logistics of how to slow down when he was stopped. Cold. By some kind of… wall. Its surface was both smooth to the touch and reflective, which would explain why he hadn’t seen it coming. In its sheen, the firefly memories seemed to stretch on for days and days. Now that he was upon it, he could see that the wall was as tall as it was wide, which was to say that there was no end in sight in either direction. 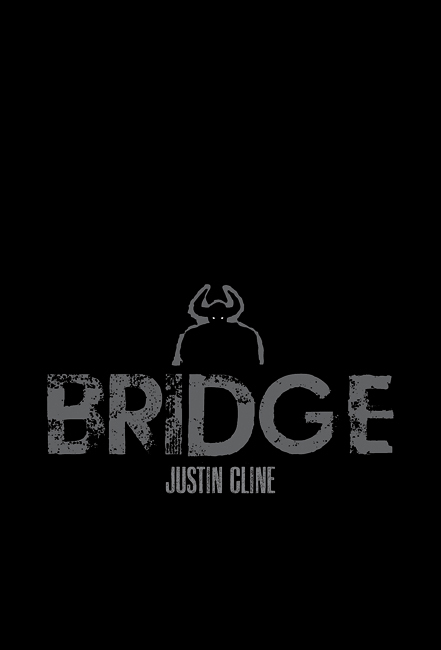 Though Bridge had never encountered any mental blockades before—wasn’t even aware that they were possible—, he knew exactly what this one meant. There might as well have been a sign hanging from it. Someone out there was all too aware of his abilities, as well as his limitations. He couldn’t read Rook’s mind, only observe his memories. Wall off those memories, and Bridge was at a standstill. Someone had gone to great measures to keep him from discovering anything beyond a certain point in Rook’s life. Or death. It was a shame they didn’t realize that this kind of tactic would only make him work harder to get in. Pondering how best to go about that, Bridge leaned back—in both the memory field and his chair—and exhaled. In the darkness, he floated along as if in a placid pool until he encountered the first available memory that wasn’t being withheld from him. Within its confines he found nothing. No light. No sound. No hope. Moving on, he discovered that the next few memories were identical, nothing but black. He tossed these aside. At the first pinprick of light, he pulled the memory close to him with both hands. And instantly wished he hadn’t. To be honest, being buried alive wasn’t as bad as Bridge had once thought. It was worse. The taste of soil in his nose and mouth. The constant pressure of earth holding him down. The sound of his own heartbeat—it had to be his, for Rook’s organs had been removed—, pounding in his ears as he began to doubt the possibility of escape. He was on the verge of opening his hands and relinquishing his hold, when the ground above opened up for him. For Rook. The narrowest ray of light shone on his face, as if he had been singled out. Then the rain poured in, making his ascent that much more difficult. Through trial and error, he was able to pull himself from the hole and collapse graveside, incapable of further movement. This was the earliest memory Bridge had access to, Rook crawling from his grave. It stood to reason that it was also the earliest memory the killer had. That meant that— Damn. Bridge needed a moment to catch up, all his thoughts jockeying for prime position. That meant that any interactions with his employer would have had to take place on this side of the wall. It seemed that Bridge’s time underground was going to pay off after all. From a distant place came the sound of music, a few plaintive notes filled with urgency, repeating over and over again. The tune continued as water washed away the dirt on his clothes and face, growing louder as the blockage was stripped from his ears. The sound was coming from his immediate right. Turning only his head, Bridge/Rook saw two items lying on the grass no more than three feet away. The first was a cell phone, the one Bridge had confiscated along with Rook’s trigger fingers. Its ringing was the source of the music. The second item was also familiar to him, and it was safe to assume that it was currently swimming somewhere in the city’s sewer system. The killer picked up the cell. Just as Bridge’s research had uncovered, the caller’s identity registered as UNKNOWN, but the dead man answered it anyway, gurgling out an approximation of “hello,” as if he hadn’t just crawled out of a grave and hadn’t the faintest clue that half his face was missing. On the other line, there was a series of clicks. In Bridge’s mind, he pictured hard fingernails drumming impatiently on a desktop. These clicks were followed by a single word, spoken by someone who was identifiable by neither gender nor species. 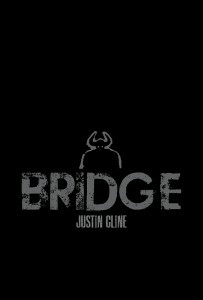 For all Bridge knew, the voice’s owner was beyond the claim of either one. The connection ended. As much as he wanted to believe that there was more forthcoming, there was not. His job title had been the entirety of the message. No mention of time or place or victims. No explanation for why he and the blonde had to die. Certainly no identification of the person behind the plot. And yet Bridge knew in his gut that all of that information had been communicated by the one word. Some kind of code, or maybe even a post-hypnotic suggestion. It was brilliant, especially if it had been done for Bridge’s benefit. All the details must have been locked away in Rook’s mind long before he ever went into the ground, in the same way the vessel was locked inside the pistol and pre-loaded with names. But all that time was hidden from Bridge, inaccessible. Rook pocketed the phone, its purpose served, then retrieved the gun. Before he could place it in his coat, a powerful cough erupted from deep inside of him—a smoker’s cough—, and Bridge could feel something break loose inside of him/Rook. Any moment now they’d hack up a lung. Hanging his head, the dead man continued to bark until a sizeable clod of dirt dropped out of his mouth and onto the ground. Seemingly satisfied that there was only the one chunk, Rook drew the pistol closer for inspection, a .38 Special that had seen better days. He closed one eye and sighted a low-flying bird before dropping the cylinder and spinning it. At the sight, Bridge stopped breathing. All six chambers were empty. Where the hell was the vessel? Could he have overlooked some secret transaction between now and the time Rook came to The Bethany? How closely was he going to have to look? Despite his lack of bullets, Rook wasted no time shooting holes in that theory. With the heel of his hand, the dead man smashed the clod of dirt he’d just coughed up until it broke apart. Amid the remnants, what appeared to be a tiny grub wriggled, momentarily freed, before the assassin loaded it into the chamber of his gun and then walked off to do his job. This entry was posted on Wednesday, March 21st, 2012 at 12:01 am	and is filed under Uncategorized. You can follow any responses to this entry through the RSS 2.0 feed. You can skip to the end and leave a response. Pinging is currently not allowed. « Johnny Depp and Marilyn Manson Team Up For New Album!! !